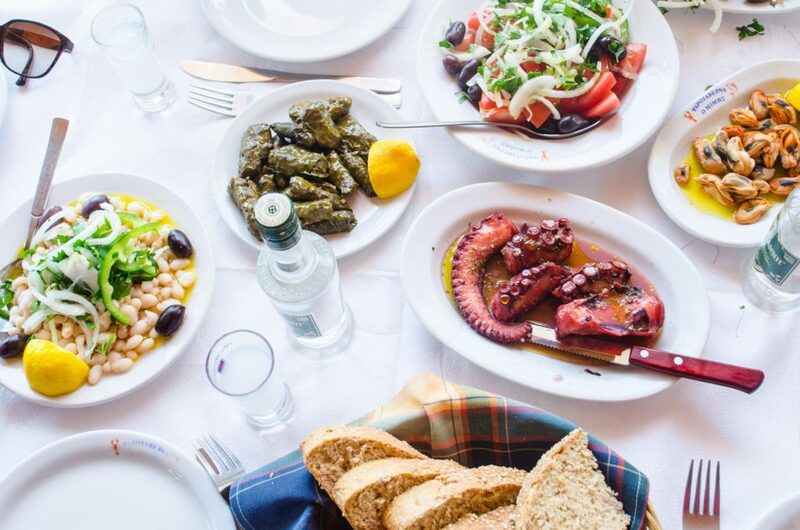 Part of the experience of visiting the Greek islands is eating. Here are our top Greek mezes to try on Mykonos. If you are looking forward to the days of lounging around on Myknos, you’ll want to do that with a couple of plates of Greek mezes within reach. What are mezes? They are savory appetizing, bite-size portions of traditional Greek food. They often come in the form of dips or small dishes. These plates are served in small portions and eaten leisurely with a nice glass of wine, Greek liquor or beer. 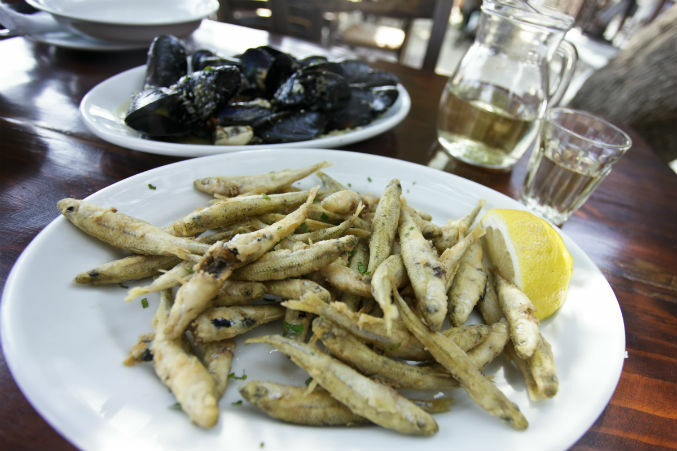 They can also be ordered as appetizers before the start to a traditional taverna meal. These are our favorite mezes. Just remember they are best accompanied with cool strong ouzo and good company. 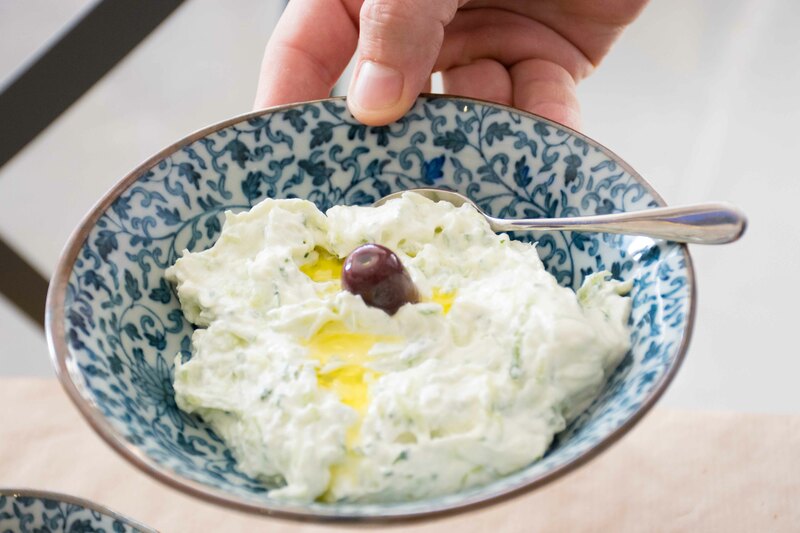 When you take thick, smooth and creamy Greek yogurt and add some simple but flavorful ingredients such as cucumber, dill and garlic – you get one of the most popular Greek mezes in the country. 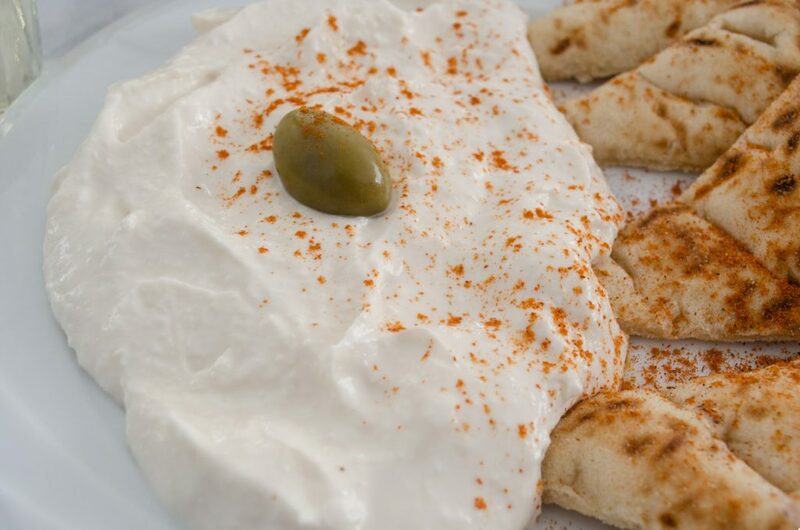 Tzatziki is perfect with toasted pita bread and you’ll often see is in gyros. 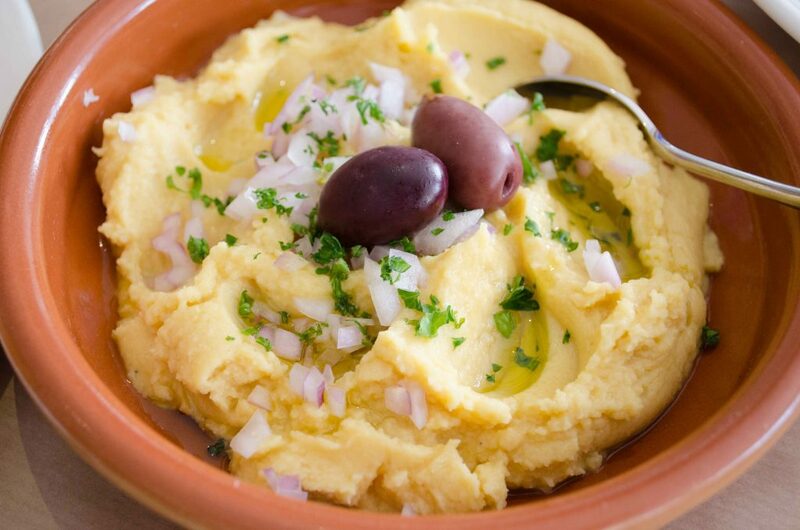 This is another dip that is native to the Cycladic islands. It is a delicious smooth and creamy split pea puree and it is also perfect as a dip with toasted bread or pita bread. It is one of the healthiest foods you can try since it is full of protein and low in fat. This pinkish tinted dip is full of flavor thanks to its star ingredient: fish roe. It is also mixed with extra virgin olive oil, lemon juice, onions and some bread. If you are a garlic lover, this dip is for you. It is a garlic-charged, mashed potato dip. It also has extra virgin olive oil. It is featured in various dishes but its often ordered with fresh pita bread or various fish dishes especially fried salted cod. One of the most popular Greek mezes to try on Mykonos is dolmades. 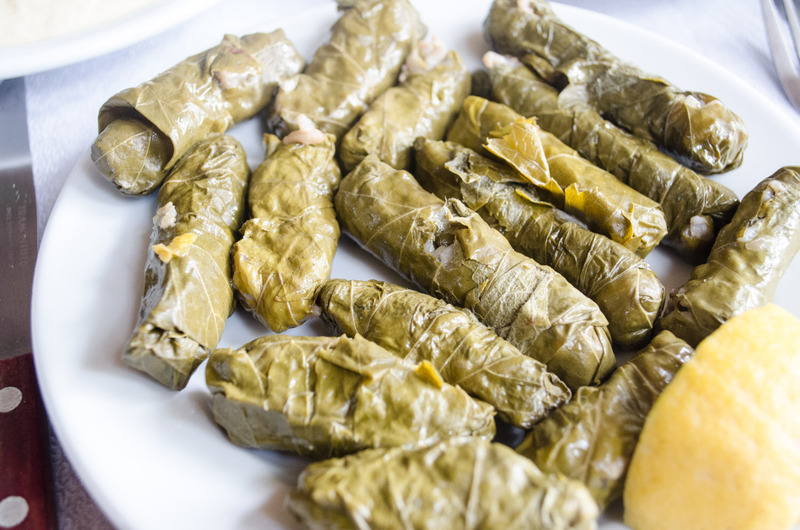 These bite-size, stuffed grape vine leaves are full of flavour thanks to the seasoned rice inside. 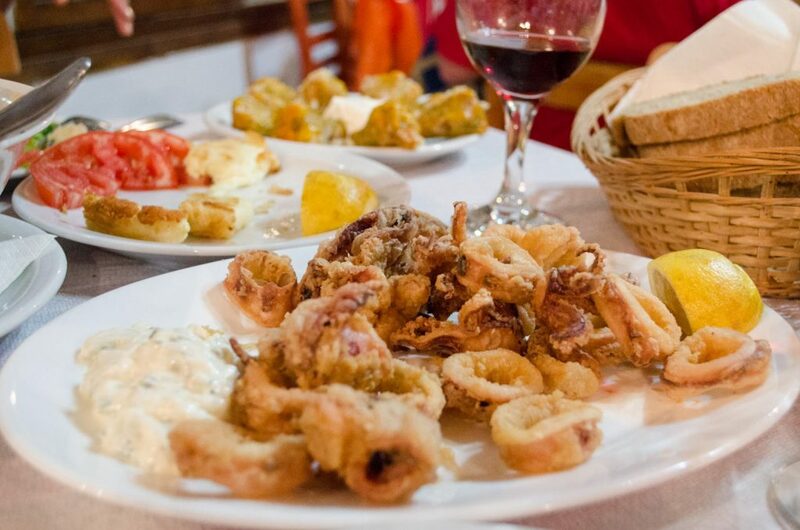 Every fish taverna in Greece serves up delicious fried calamari which is called kalamarakia. The perfect version is very soft on the inside but very crispy on the outside. Perfect with a squirt from a fresh Greek lemon. While you explore Mykonos, or any of the islands for that matter, you’ll spot octopus hanging out to dry in the sun. 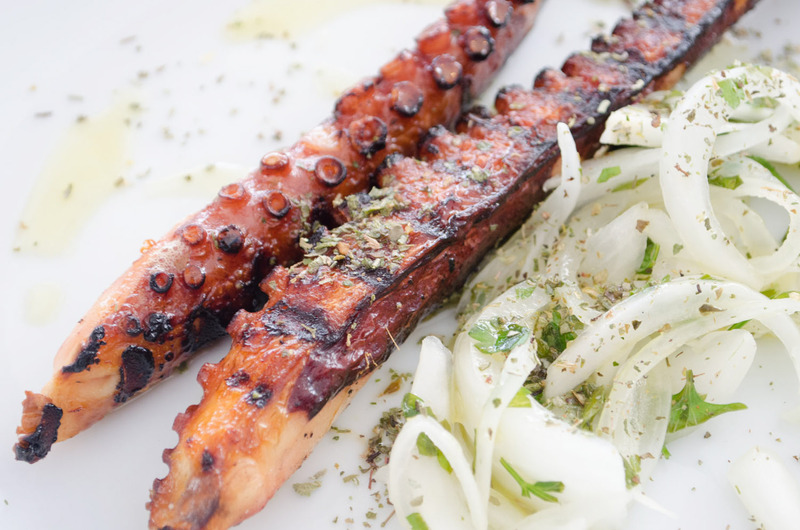 It is one of Greece’s most beloved seafood dishes and one of the top Greek mezes to try on Mykonos. You can order it grilled or marinated. It is a wonderful addition to any meal by the Greek sea. 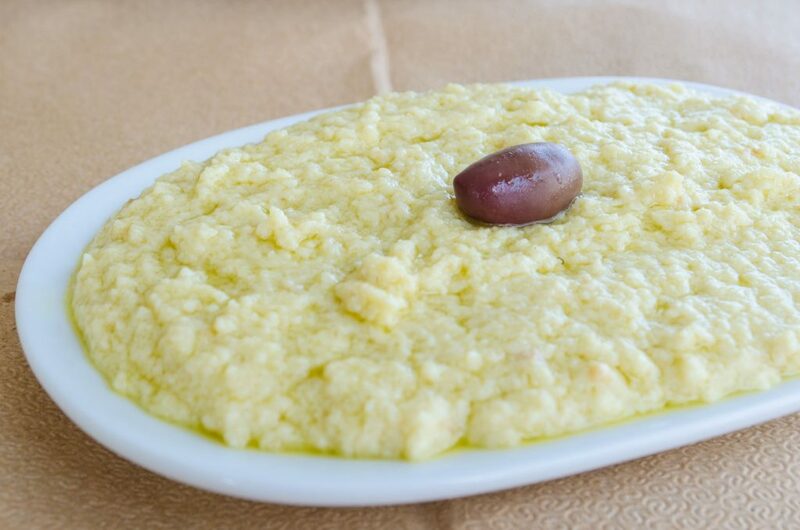 That rounds out our top Greek mezes to try on Mykonos during your visit to our island. Which one would you like to try first?